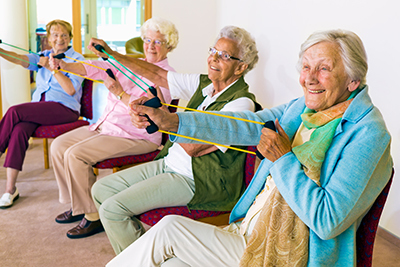 Physical activity questionnaires are used to understand the mobility and/or health status of older adults. By comparing responses to these questionnaires to the actual activity levels of individuals, we can understand how accurate these questionnaires really are. Balance and mobility challenges are common in older adults and can lead to a higher chance of falling. Questionnaires are usually used to assess balance, mobility, and physical activity levels in older adults. These questionnaires may not be accurate because they are completed based on what the individual thinks they do instead of what they actually do. The purpose of this study is to measure physical activity levels in older adults using wearable technology and compare it to a commonly used questionnaire and a newly developed questionnaire. Researchers are looking to see which questionnaire is the most accurate when compared to the resident’s real physical activity level. Results from this study can be used to determine which questionnaire is better to use in the future.